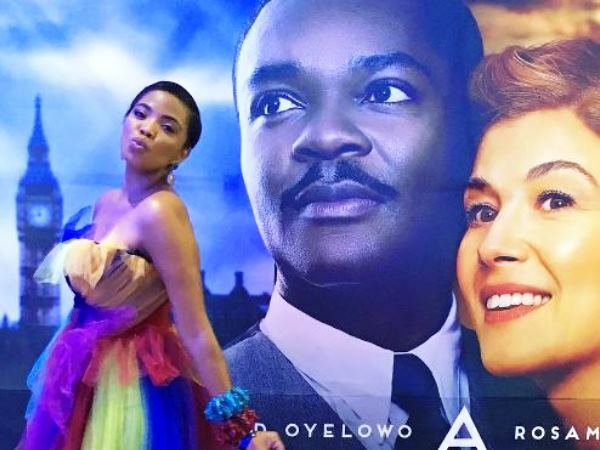 Terry Pheto has done it again! The South African TV darling has been nominated for the Best Supporting Actress award at the British Independent Film Awards (BIFA). Terry (35) has been shortlisted for her role as Naledi Khama, Sir Seretse Khama’s sister, in the film A United Kingdom.. The leading lady will be up against the likes of Gemma Arterton, Naomi Harris, Shana Swash and Avin Manshadi in the category. A United Kingdom follows the true story of Bechuanaland's (now Botswana) first president, Prince Sir Seretse Khama, and his controversial romance with British typist Ruth Williams. Fans have applauded Terry on Twitter in the wake of the exciting news. “Excellence is a habit,” one Twitter user wrote, while TV host Maps Maponyane dubbed Terry a national treasure. Overwhelmed by her nomination, the actress, who has been globetrotting after her first movie Ayanda opened the second edition of the RomAfrica Film Festival (RAFF) in Rome earlier this year, took to Instagram to thank the film's director Amma Asante for trusting and believing in her with the role. Words fail me. So honoured to be nominated alongside the most incredible talent in the world. Thank you @iammaasante for believing in me and making this one of the most memorable journeys of my career. #BIFA2016 ?? The film is set to be released at cinemas on 9 December, 2016.